AZGS geologists Jeri Young and Phil Pearthree pulled out four of the seven portable seismometers deployed in the area around June's M5.2 earthquake near Duncan, Arizona. The portable instruments were installed in July to monitor the aftershocks from the June 28 event, detect small events, and provide accurate locations for all of the aftershocks. However, the PASSCAL facility that owns the instruments needs to redeploy them in the Napa California area to monitor the aftershocks from last weeks M6.1 earthquake there. AZGS has published a new geologic map of the Black Peak and Bobs Well 7.5" quadrangles as a digital map. It is available at our online repository for free viewing and downloading. 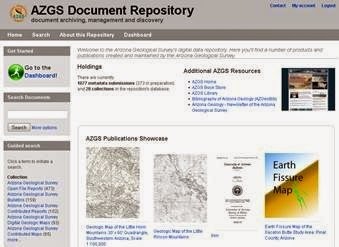 The map was funded in part by the StateMap component of the National Cooperative Geologic Mapping Program managed by the USGS. Ref: Pearthree, P.A. and Spencer, J.E., 2014, “Geologic Map of the Black Peak and Bobs Well 7.5 Quadrangles, La Paz County, Arizona,” Arizona Geological Survey Digital Geologic Maps DGM-108 v1, scale 1:24,000. Today's mail brought a slick brochure from Smithsonian Journeys offering a private jet tour next June around the world of northern locales hopping from Seattle to, among others, Mongolia to Siberia to Svalbard, Greenland, and Iceland before returning home 22 days later. The Boeing 757 private jet seats up to 78 passengers in "two-by-two, VIP-style leather seats." Wayne Ranney is a veteran of expedition travel, and has lectured on and journeyed to all seven of the Earth's continents. With a lifelong interest in the natural and earth sciences, Wayne specializes in making the fascinating story of our planet come alive for fellow travelers. His travels have taken him to all areas of South America including Patagonia; the Polar regions from Antarctica to Iceland, the desert lands of Africa and the American Southwest, and most of Earth's outstanding landscapes. 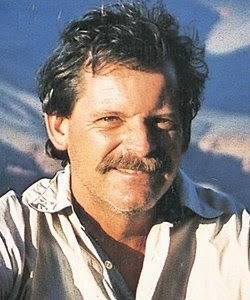 He was elected to the Explorers Club and has visited more than 80 countries. Wayne is a retired professor of geology but still teaches an occasional honors course at Northern Arizona University in his hometown of Flagstaff, Arizona. Now, I have a schedule conflict next June, so I won't be able to join Wayne and the other trip participants. The trip cost of $64,950 per person is also a bit daunting for someone on a state salary. An area 40 miles east of Kingman was hit with a cluster of quakes in the magnitude 3+ range two weeks ago. I interview Phil Pearthree about the new geologic map of the Phoenix valley, to help urban planners identify remaining aggregate resources that are needed to support development. Steve Fortier talks about projects and resources at the USGS National Minerals Information Center. HudBay Minerals Inc. (“Hudbay”) will employ approximately 70 consultants and contractors over the next four months in an $8 million confirmatory drill program on Rosemont project private land. Project site preparation is underway and drilling is anticipated to begin in September. The US Forest Service has been notified of the drill program, including the access routes to ensure public safety. The drill program components were designed to ensure compliance with existing environmental plans, permits and other constraints, such as dark skies concerns and water recycling. Archeological sites and wildlife locations are being avoided in the program. The Forest Service has made a determination that the use of approximately 1.5 miles of existing Forest Service roads would not cause a significant disturbance of surface resources and therefore would not require a plan of operations. The drilling program’s goal is to improve the company’s understanding of the geology and mineralization and to collect rock characteristic information to validate the current mine plan. 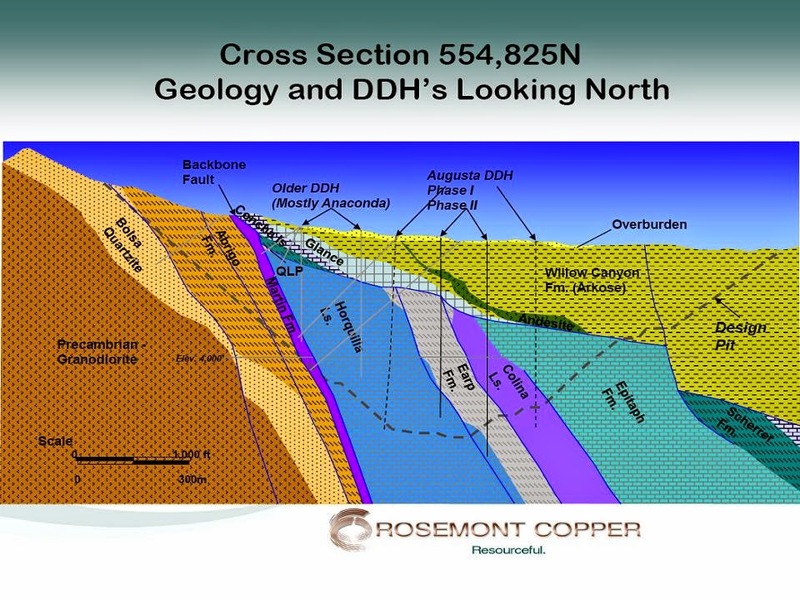 The drilling program does not include any areas outside of the currently proposed mining zones within the Rosemont Final Environmental Impact Statement (FEIS). The program will engage six diamond drilling rigs at the site, operating 24 hours a day, 7 days a week, to complete the core sampling of approximately 85,000 linear feet. Hudbay expects the drilling program to be completed by the end of 2014. Hudbay is not anticipating that the drilling program will modify the current mine plan that was analyzed in the Rosemont FEIS that was recently completed. If such a modification were to be required, then Hudbay would submit an updated plan for consideration by the US Forest Service. Supporting the drilling at the designated Rosemont project pit, the Rosemont Camp facility and Hidden Valley ranch will be used for temporary office trailers and storage to accommodate additional work needs for the program. With the start of the work, there is no public access allowed on Rosemont project private property in keeping with Mine Safety and Health Administration (MSHA) compliance. Personnel and signs will be in place to direct the public around the private property. Water for the drilling program will be provided by wells on private property that are located at the Rosemont Junction and Rosemont Camp areas. Well cleaning, development, and drilling has been on-going and will continue through September to ensure adequate supply of water for the drilling program. The Utah Geological Survey and Western States Seismic Policy Council will convene a Basin and Range Province Seismic Hazard Summit III (BRPSHSIII) January 12 - 17, 2015 in Salt Lake City, Utah. The purpose of BRPSHSIII is to bring together geologists, seismologists, geodesists, engineers, emergency managers, and policy makers to present and discuss the latest earthquake-hazards research, and to evaluate research implications for hazard reduction and public policy in the Basin and Range Province. BRPSHSIII will include a paleoseismology workshop, fieldtrip along the Salt Lake City segment of the Wasatch fault, poster session, and a proceedings volume. Paper contributed to the proceedings volume will be published digitally in the Utah Geological Survey's Miscellaneous Publication series. Digital versions of posters will also be included in the proceedings volume. For additional information and online registration, see the BRPSHSIII webpage at http://geology.utah.gov/ghp/workgroups/brpshs.htm. Asteroids have been named after two ASU professors, Phil Christensen and Dave Williams. The two planetary geologists, both faculty members in ASU’s School of Earth and Space Exploration. Also honored with an asteroid named for his work is Christensen, the instrument scientist for the OSIRIS-Rex Thermal Emission Spectrometer, a mineral-scouting instrument on the OSIRIS-REx mission to asteroid Bennu. He was also the principal investigator for the infrared spectrometers and imagers on NASA’s Mars Global Surveyor, Mars Odyssey, and Mars Exploration Rovers. The asteroid is named (90388) Philchristensen and like Williams’ it too is a Main Belt asteroid that is relatively small – approximately 4.6 kilometers (2.8 miles) across. It was discovered November 24, 2003 by the Catalina Sky Survey. It also poses no risk of collision with Earth. 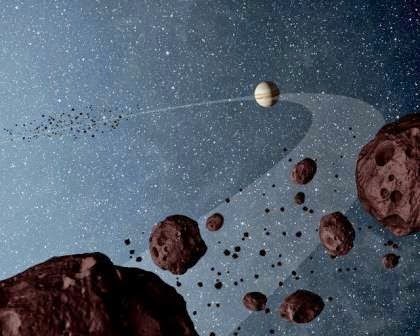 The naming of asteroids is serious business, presided over by the International Astronomical Union, an organization of professional astronomers. Upon its discovery, an asteroid is assigned a provisional designation by the Minor Planet Center of the IAU that involves the year of discovery, two letters and, if need be, further digits. When its orbit can be reliably predicted, the asteroid receives a permanent number and becomes eligible for naming. Proposed names must be approved by the IAU’s Committee on Small Body Nomenclature. Although many objects end up being named after astronomers and other scientists, some discoverers have named the object after celebrities. All four Beatles have their names on asteroids, for example, and there is even one named after James Bond – Asteroid (9007) James Bond. “I was very surprised to receive this honor from the astronomical community. Only a select few of the Dawn at Vesta participating scientists, who did exemplary work during the mission, were so honored,” said Williams, whose expertise in mapping of volcanic surfaces has been key to developing geologic maps of planetary bodies that include Mars, Io and Vesta. The main shock was on June 28 and aftershocks are continuing intermittently, with the largest being M4.1. 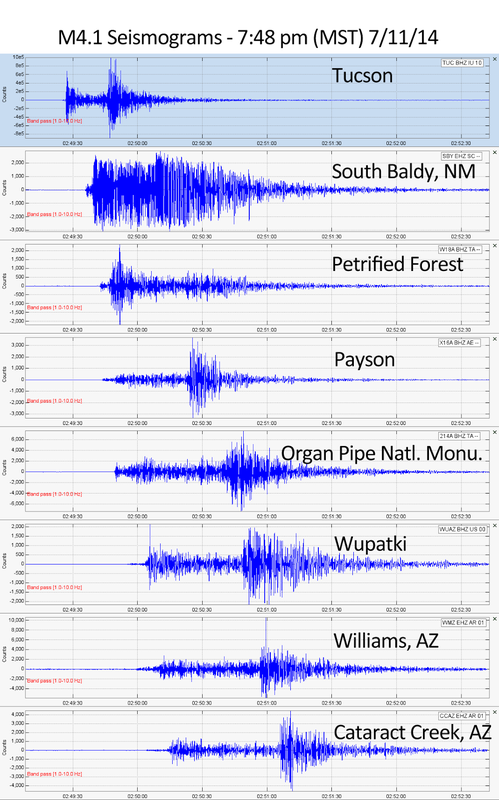 Smaller aftershocks continue to be recorded by the AZGS seismic network but not reported by the USGS. Officials of HudBay Minerals, new owner of Augusta Resources, which is the parent company to Rosemont Copper, were introduced today at the Arizona Mining Alliance monthly luncheon meeting in Tucson. Over 200 attendees from the regional mining and business communities were present. 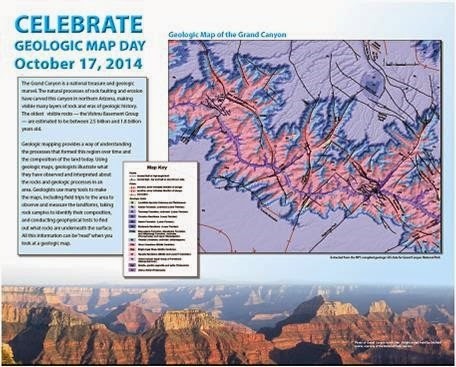 We just learned that the Geologic Map Day team chose the Grand Canyon as the poster for this year. So, here is a sneak peak of that poster.